The 12th century was a period when the popularity of surnames increased and started to become hereditary. One such type was the ‘locational’ surname, which denoted where a person lived or came from. Birmingham is part of that group, as it represents a physical settlement. At this point though, surnames were unstable and likely to change depending on where a person was living or moved to. So, who were the family who assumed the de Birmingham name by at least the 12th century, and primed the town for its later industrial success? 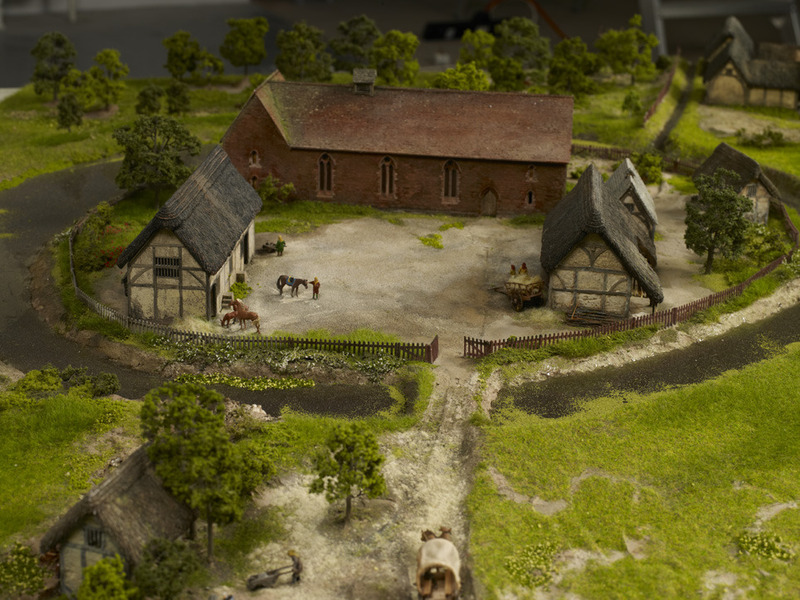 The first reference we have to the de Birminghams is in the 12th century and we know that they were living in a moated-manor house centred upon what was to become Moat Lane car park, hence where the car park takes its name. The Anglo-Norman language had already made its mark on the country by this point, which can be detected by the adoption of the prefixes ‘le’ and ‘de’ before many surnames. This in itself raises an interesting point that many historians have been and are still asking: were the de Birminghams of Norman or Anglo-Saxon ancestry? The answer to that question unfortunately cannot be answered as there simply isn’t enough documentary evidence to state either way, but let’s take a look at what we do know. 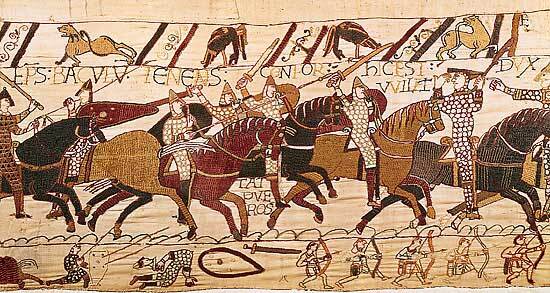 The Bayeux Tapestry depicting the Battle of Hastings in 1066, marking the end of Anglo-Saxon rule. It’s been estimated that only eight percent of England’s land remained in the hands of Anglo-Saxons after the Conquest, as the event marked a complete transfer of estates from ‘natives’ to the newly conquering noble class. It seems likely to many historians therefore, that the de Birminghams were most probably of Norman ancestry rather than Anglo-Saxon. However, they weren’t top-ranking nobles so to speak, but part of the middling tiers, so for some historians it’s feasible to suggest that they may have equally been of Anglo-Saxon origin. After all, the first reference of them owning land is from the early 12th century, nearly 150 years after the Conquest, giving Anglo-Saxon families, particularly those with political ambitions, plenty of time to settle in to the fabric of this ‘new’ country. Also, it was often political affiliations that counted, not necessarily cultural, meaning that the latter wouldn’t prevent advancement through the ranks. Passage from Domesday listing a Richard as the named holder of Birmingham in 1086. The surname of the tenant holding the manor of Birmingham at the time of Domesday in 1086 was unrecorded; all we know is that his first name was Richard. The first named de Birmingham was a William who was ‘enfeoffed’, or given land in exchange for a pledge of service to his overlords during the reign of Henry I, sometime between 1100-1135. William’s son, Peter, is perhaps the best known de Birmingham as it was his shrewd business sense that secured the town’s growth with his purchase of a market charter in 1166. So, we can confidently say that from at least 1135, and very possibly before then, the family who were to own and cultivate the manor of Birmingham adopted the name of that manor as their own. They were, in fact, small fry in regards to their lordly status, and if we were thinking about this in terms of a football league, the de Birminghams were far from Premiership quality, but somewhere in the second or third divisions perhaps. However, they always had their eyes set on promotion with aspirations of climbing the baronial leagues. Impressively, the de Birminghams managed to maintain their status until the fifteenth century when Edward de Birmingham lost possession of the manor to John Dudley, ending their long line of succession. The de Birminghams were actually the sub lords to the lords of Dudley, and in modern-day terms this meant that they were ‘sub letting’ land from the Dudleys in return for providing military service. They were in effect their vassals or knights and this meant that if the Dudleys needed military backup, the de Birminghams would honour that request, no questions asked. If they failed to do so, they risked forfeiting their land. Nevertheless, they often acted of their own accord, actively participating in foreign military campaigns and even in civil war, most notably as rebels against the eventual Edward I in the Battle of Evesham in 1265. Manuscript depicting the Battle of Evesham in 1265. They certainly enjoyed a life of luxury too judging by the stoneware jar below, which was found in excavations of the moat between 1973-75. 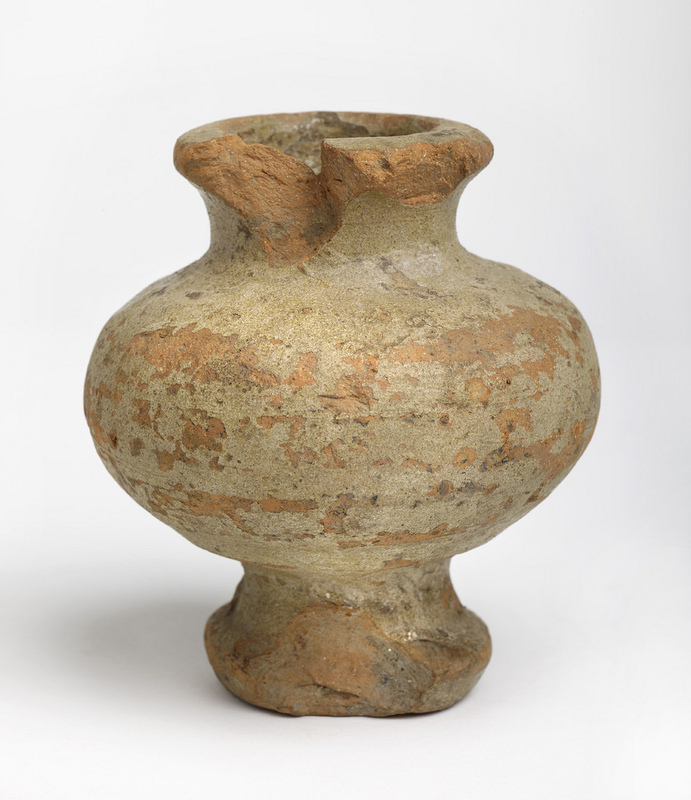 It might look modest, but clay analysis tells us that it’s from the Levant region, around present-day Syria and Lebanon, and was once used for storing mercury, a very expensive medicine in the middle Ages. For middling ranks of the aristocracy they also held a fair few estates including Shutford in Oxfordshire, as well as further afield with lands in Berkshire and Buckinghamshire. Closer to home was Edgbaston, which most likely explains why one of Birmingham’s first medieval roads sometime before 1296, was named Edgbaston Street. Presumably this was a sure way of connecting trading ventures between two de Birmingham estates. Of all the estates though, Birmingham remained ‘king’ with its thriving market, as well as being the permanent home of lords of Birmingham. 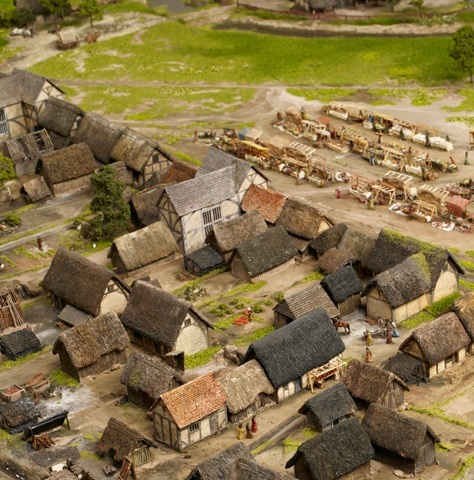 This was where the de Birminghams’ manor house was located after all, strategically situated, so that it was well placed to administer political and social life in the town, as well as serving as a natural meeting point. 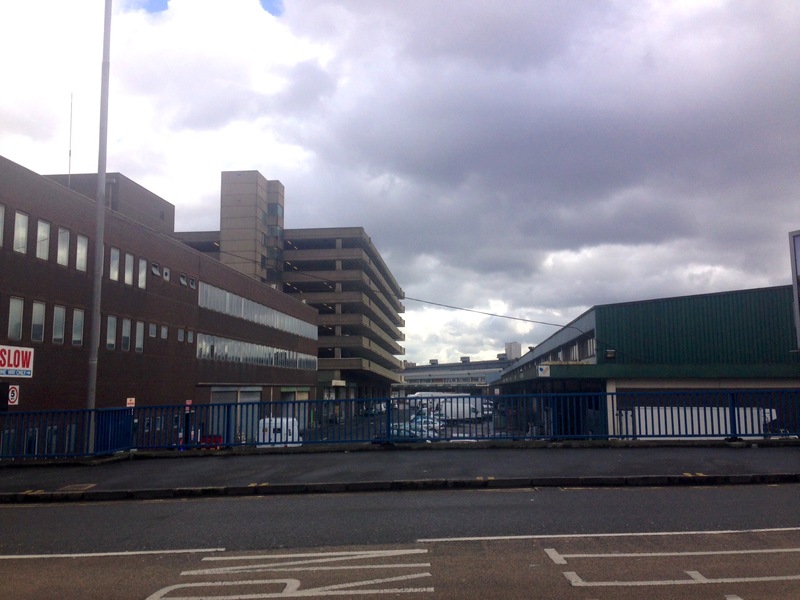 View showing site of the Smithfield Markets and Moat Lane Car park. The site, which marked the home of the de Birmingham lords since the 12th century was completely redeveloped by 1816, with remnants of the house and moat permanently erased making way for the Smithfield Markets, which opened the following year. Today, all that marks the location of Birmingham’s seigniorial birthplace is a 1960’s concrete car park that now sits on the periphery of the city centre, forgotten by most, no longer in the heart of civic life. 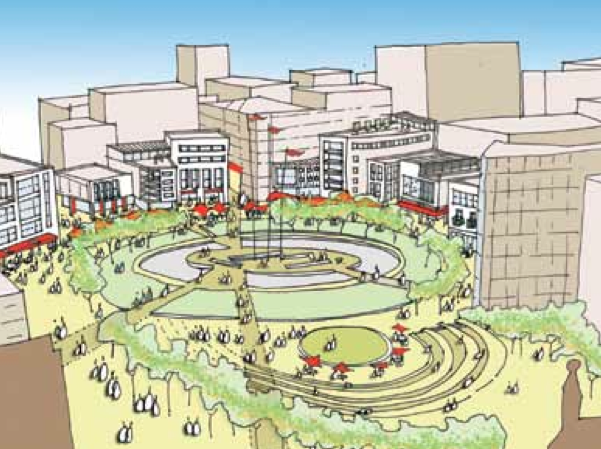 But, fortunately we can end on a high note because as part of Birmingham’s Big City Plan the site of the de Birmingham home and one of Birmingham’s first buildings, will be ‘resurrected’ in an upcoming future development. A new public space is being planned called ‘Moat Square’ in reference to the de Birmingham manor house and moat, and more exciting still, the boundary and general footprint of the moat will serve as a new water feature, returning it part way to its original purpose. It seems that the historic heart of the city, which has lay dormant for over 200 years is due to make an imminent ‘come back’ and breathe life back into Birmingham yet again. Very interesting, I have visited alot of Bermingham strongholds around Ireland. Bermingham is the Gaelic version of ‘de Birmingham’. I believe Robert de Bermingham (son of William) was the first in Ireland as he accompanied Richard de Clare or ‘Strongbow’ during the Norman conquest of Ireland in 1172. Some later went under the surname of Mc Feorais. Thanks for your comments as it’s great to know people are interested! Yes, you’re right, the de Birminghams of Warwickshire were the senior branch of the family and we think the Irish branch was established in the 12th century, which ties in with your information. In fact, the Irish de Birminghams became more important than the Warwickshire branch at one stage and held on to their prominence and their land for longer too. I’d love to know more about the Irish family though! Maybe you should write a blog?